A portmanteau of friend and enemy; an enemy who acts like a friend. Sometimes spelled frienemy. PERSON WHO HATES ON YOU BUT LOVES YOU SOO MUCH! BECAUSE YOUR LIFE IS BETTER THAN THEIRS. The type of “friend” whose words or actions bring you down(whether you realize it as intentional or not). The type of friend you ought to cut off but don’t cuz… they’re nice… good …you’ve had good times with them. U know… they’re good people that you can count on to bring you down again sometime in the near future. The friend you may or may not have cornered about their quicksand like ways and keep around because “it’s in the past”… and so was one minute ago; the person that will continue to bring you down until you demand better for yourself. When you ask yourself is that person my friend or enemy…they are your frenemy. Straighten ‘em out or leave them. Don’t put up with it. Sometimes, out of love we turn a blind eye to friends that have gradually turned negative, toxic and abusive right before our eyes. For a myriad of reasons, we may sympathize with their current life situation and therefore allow them to dump their negativity and abuse in our laps when they have an episode. When we find ourselves saying to ourselves or others “she/he is a really good person, it’s just… ” That “JUST” is a conditioned justification for the inappropriate behavior and when you find yourself often saying “it’s just’… it’s time to evaluate whether you have a friend or frenemy within your midst.The type of ‘friend’ whose words or actions bring you down (whether you realize it as intentional or not). It may not be that easy to spot who is who, however it can be apparent by the way you are made to feel after having encountered them. The spectre at the feast, doling out back handed compliments in front of everyone or blatant put downs. The friend that is always there when something is wrong but seems to always have something to do when you are celebrating something right. The friend that encourages you with poor advice or flat out expects you to accommodate them without consideration for you at every turn regardless of what you have going on. A person with whom you may have a lot of fun and /or a lot in common, who also has a vile and random dark side. These relationships are worth doing a cost/benefit analysis on. Also, limiting relationships with frenemies to non-SO relationships is a must. Why? Because it’s ultimately all about them after all, and you will need to be in a position to get away from them for indefinite periods of time. 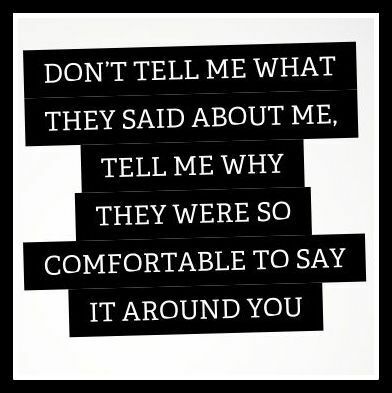 Know too, *that you will probably become their frenemy as well -because you won’t be able to keep from talking behind their back. If this happens, don‘t expect everyone to get it – some will wonder why this person enrages you so much and others will wonder what you see in them. It is recommended for your own safety/sanity that you limit yourself to one frenemy at any given time in your life. Take notice if your friendship dynamic begins to feel like a competition. Friendship is about being there for one another, through good and bad and also empowering one another. Friends help each other, pick each o ther up and build each other up. If you’re being put down, let down or torn down … you have a frenemy. Frenemies are more dangerous than enemies because you’re on guard with your foes and you allow yourself to bevulnerable to your friends. You let them in your heart and let them peer into your soul therefore providing them with the tools they need to sharpen the dagger with which they stab you in the back or the chest at any given moment. Having a frenemy and receiving the Judas treatment in life is as certain as death and taxes. However, keeping them in your life is entirely optional. Just because you have known someone for years and years does not make them entitled to oppressing you. There is no excuse for it. Frenemies are individuals who have learned to thrive off relational aggression. They wield weapons that we have provided them on our own volition only to ride the backlash to make amends until the next time. Second verse same as the first. This vicious cycle creates a very toxic atmosphere than can, in turn, become addicting. Nothing good can come from such a vicious cycle although frenemies are propagated everywhere – Mean Girls, Housewives of Whomever/Wherever,.. list goes on and on. Although I cannot think off the top of my head, a good example of friends,… other than the television show “Friends” … I can say a true friend would never display the qualities or behaviors above.